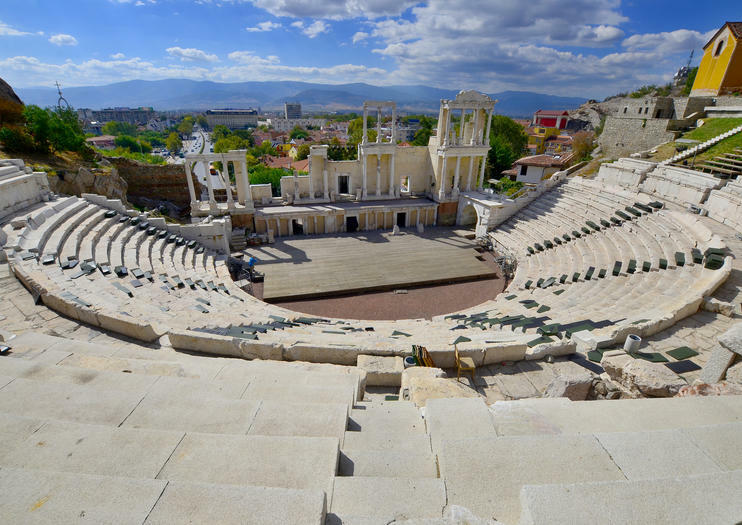 Plovdiv is widely known for being Bulgaria’s second-largest city, but few realize it’s also the oldest continually inhabited city in Europe, with recorded residents dating back over 8,000 years. As such, a visit to this lively town offers travelers a truly unique taste of Bulgarian history and an epic look into the nation’s past. Old Town, which is closed to cars, is home to some of the city’s oldest architecture, roads and churches. The neighborhood’s art galleries, bars, and even an open-air roman opera house, add to the charm of this truly unique part of the city. Travelers say wandering the surrounding hillsides, which offer incredible sunset views, is a perfect way to spend an afternoon in Plovdiv, and the city’s close proximity to the Bachkovo Monastery and Asen’s Fortress make it an ideal base for exploring the surrounding sites, too. Plovdiv is home to two tourist information centers that provide maps, schedules and accommodation options—as well as expert advice to visitors. One is located near the post office in the city center and the other is in the old city on Main Street. Both are great first stops for travelers looking to make the most of their time in Plovdiv (and Bulgaria in general). The information center offers a free city tour every Wednesday at 9:30 a.m.